Skip Navigation LinksHome > Schools > Are You A School Leaver? Are you leaving school this year or already thinking about your choices for next year? It can feel like a daunting time as you prepare to make decisions about your future, but please be assured that there is plenty of support to help guide you with your choices. 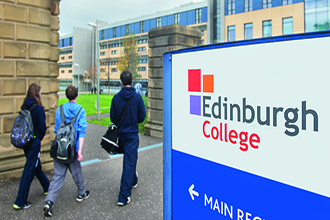 We guarantee a place to study to all eligible school pupils in Edinburgh, East Lothian and Midlothian, to make sure you achieve your education and career ambitions. Our guarantee promises that we will help every school student who applies find a course at the right level in the right area. Firstly, it’s important to know what choices are available to you. If you are looking to continue with education then consider what your end goal is. Do you want to work in radio? Or perhaps you’re looking for a career in civil engineering? I f you’re clear about what you want to do then next you need to plan how you will get there. There is more than one route to gaining a qualification. Did you know that you don’t need a place at university to start your degree? Many HN courses allow you to progress directly from college to year 1, year 2, or in some instances even year 3 of a university degree. Studying at college can be a great way of building your expertise and knowledge. At college you will work in small classes with a lot of contact tutorial time, as well as benefiting from your own Learning Development Tutor (LDT) who will give you guidance and support during your time here. You can use our course page to search for courses according to subject areas. 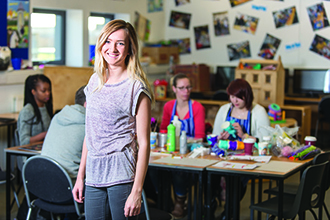 Make sure you remember to come along to our information and open days where you can speak with teaching staff, tour our campuses and see our facilities first hand. Keep an eye on our events page for dates. Some other useful websites include the Skills Development Scotland (SDS) websites and myworldofwork which will help you understand many of the options available to you.